I NEED to help the Agile Customer discover the goals and needs of the customer of the product. I have strong facilitation, communication and analytical skills. I help remove business-related impediments raised by the team. I provide regular feedback by validating that the product meets the business goals. The entry 'The Role of an Agile Business Analyst' was posted on April 22nd, 2009 at 3:00 pm	and last modified on April 25th, 2009 at 6:32 pm, and is filed under Coach's Log, Team. You can follow any responses to this entry through the RSS 2.0 feed. You can leave a response, or trackback from your own site. 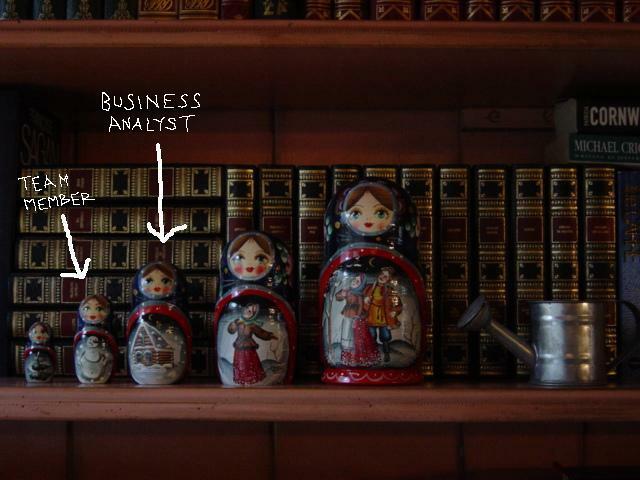 I would just like to say that you have quite succinctly defined the role of an Agile Business Analyst. It is a myriad or greys but I like your definition and when I tried to define it on my blog I concentrated on the documentation aspects of Agile. I will look forward to your posts – you have your heads switched on.